It's TGIF! I hope you all had a very productive week. I'm striving to continue following this week's schedule on to next week. I have been sleeping well and waking up early and refresh for the past five days. 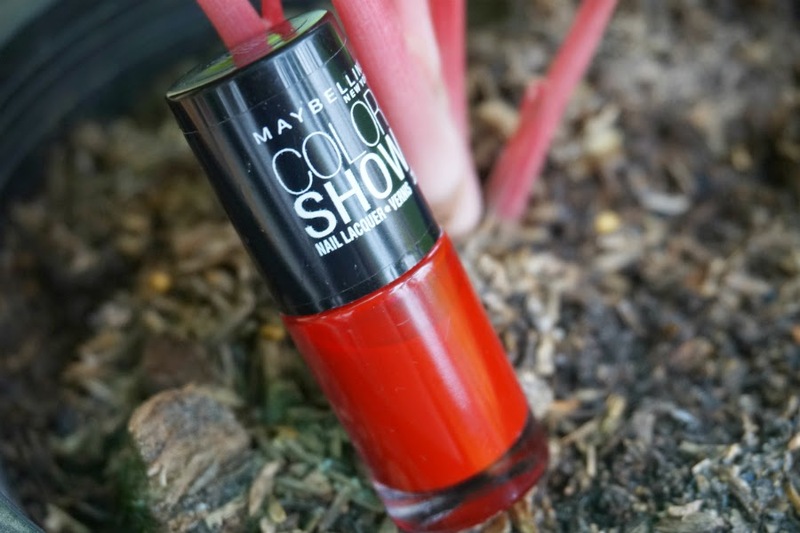 I cap off this week with a fiery nail polish from Maybelline, in shade "Paint the Town." 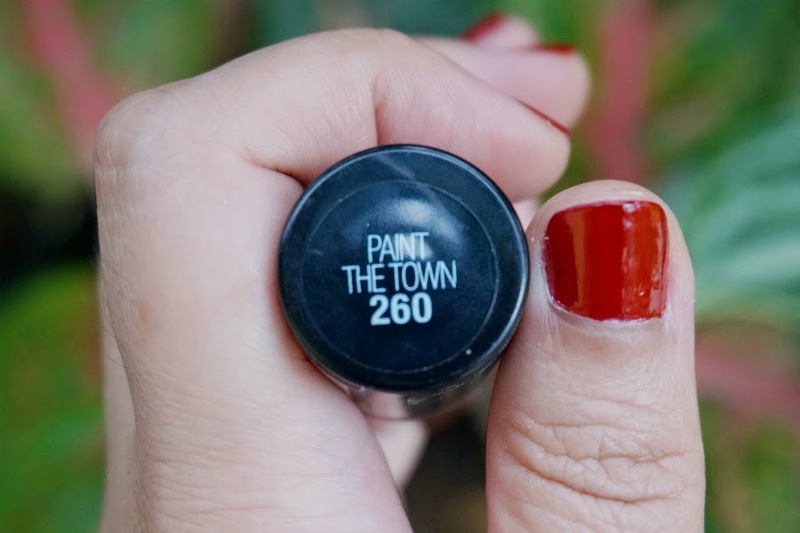 Paint The Town (260) is a medium-deep semi glossy true red. I think it's neutral enough to suit any skin tone. 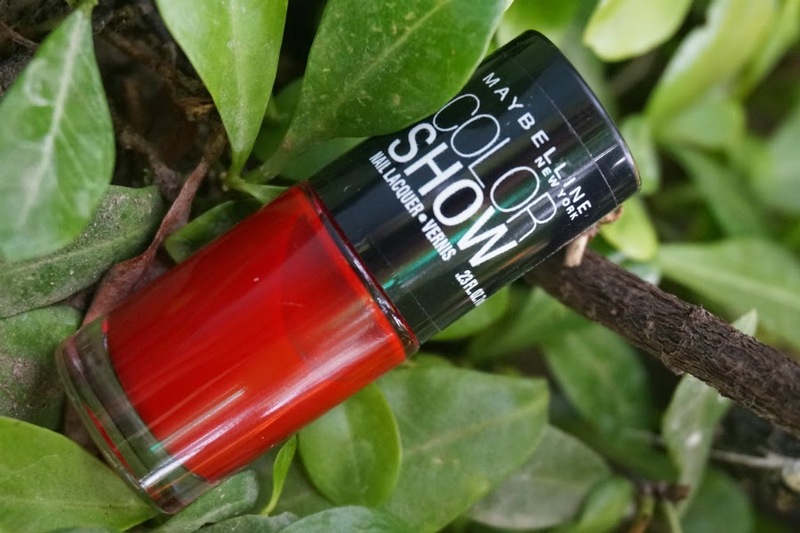 This color is very classic and you can certainly get away with wearing it casually. It would be especially perfect for a glam, evening look. I found the formula much better than the previous Antique Teal I reviewed last week. It has a nice consistency, not too thick nor thin. It self-leveled and applied evenly without too much effort. Above photos shows the color. 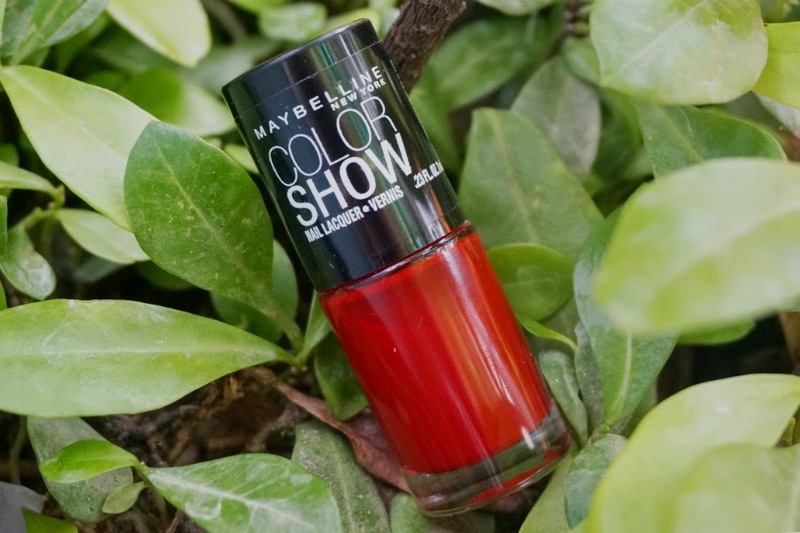 This just needs one coat which is perfect for those hectic days when you're in a rush. I applied two coats for a more even, opaque color. The finish is shiny but I added a top coat to make the polish last longer. 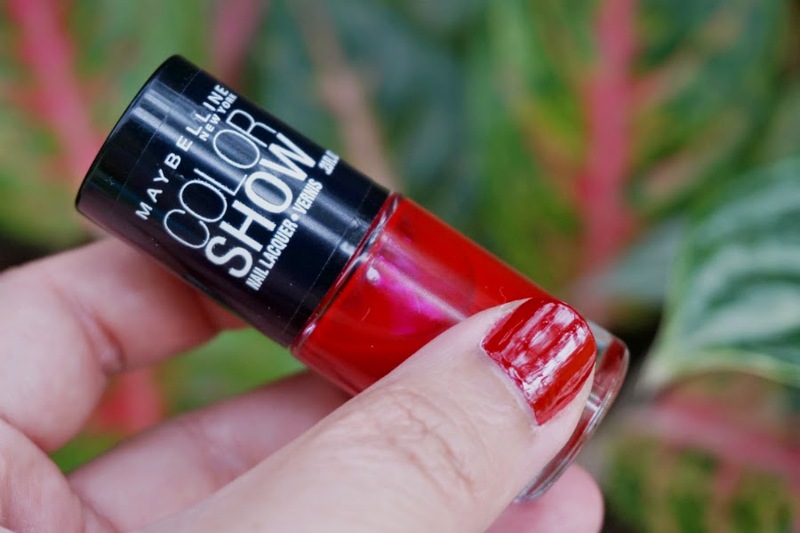 Overall: If you're looking for a deep, classic red color, Maybelline Color Show Nail Lacquer in Paint the Town would be a good choice. It delivered opaque color pay-off and had overall a good consistency, all at a very affordable price. Drying time is good, enough for the nail polish to settle and create an even finish. With a top coat, I had a good 5 days before I noticed some chipping.